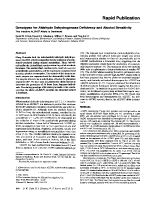 JCI - Genotypes for aldehyde dehydrogenase deficiency and alcohol sensitivity. The inactive ALDH2(2) allele is dominant. 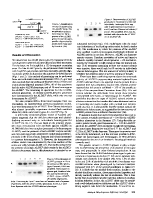 Genotypes for aldehyde dehydrogenase deficiency and alcohol sensitivity. 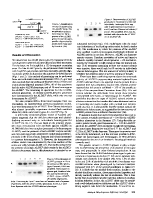 The inactive ALDH2(2) allele is dominant. Department of Medicine, Indiana University School of Medicine, Indianapolis 46223. J Clin Invest. 1989;83(1):314–316. https://doi.org/10.1172/JCI113875. Many Orientals lack the mitochondrial aldehyde dehydrogenase (ALDH2) activity responsible for the oxidation of acetaldehyde produced during ethanol metabolism. These individuals suffer the alcohol-flush reaction when they drink alcoholic beverages. The alcohol-flush reaction is the result of excessive acetaldehyde accumulation, and the unpleasant symptoms tend to reduce alcohol consumption. The subunit of this homotetrameric enzyme was sequenced and the abnormality in the inactive enzyme shown to be a substitution of lysine for glutamate at position 487. We have used the polymerase chain reaction to determine the genotypes of 24 livers from Japanese individuals. Correlating genotype with phenotype leads to the conclusion that the allele (ALDH2(2)) encoding the abnormal subunit is dominant.